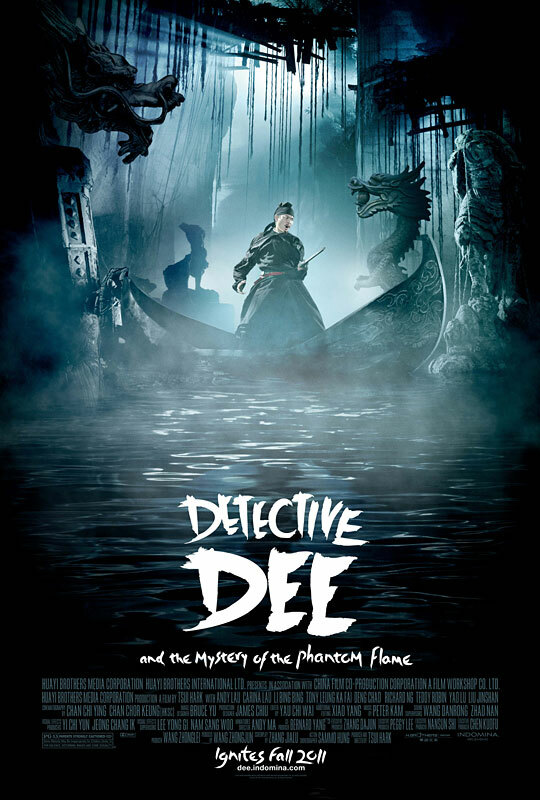 Indomina Releasing has released a new U.S. trailer for their upcoming martial arts film Detective Dee and the Mystery of the Phantom Flame. I had a chance to see this movie at the Los Angeles Film Festival and it was pretty awesome. The film had some great innovative fight sequences, and the setting of the film was freakin' epic! Click here to read my full review of the film. This film plays out like an martial arts asian version of Sherlock Holmes. A period epic from genre master Tsui Hark (Seven Swords), DETECTIVE DEE is an action-packed, visually breathtaking Sherlock Holmes-style mystery starring some of China's top acting talent: Andy Lau, Bingbing Li, Carina Lau, and Tony Leung Ka-fai. Nominated for Best Special Effects at the 2011 Asian Film Awards and stunningly choreographed by master Sammo Hung, this intricately plotted whodunit is set in an exquisitely realized steampunk version of ancient China. On the eve of her coronation as Empress (Carina Lau, 2046), China's most powerful woman is haunted by a chilling murder mystery: seven men under her command have burst into flames, leaving behind only black ash and skeletal bones. Recognizing this threat to her power, she turns to the infamous Dee Renjie (Andy Lau, Infernal Affairs, House Of Flying Daggers): a man whose unparalleled wisdom is matched only by his martial arts skills. As he battles a series of bizarre dangers, he unveils a chilling truth that places his life, and the future of an entire dynasty, in peril. The film is set to be released on September 2nd 2011. Check out the new trailer below and tell us what you think!